Hello friends! I hope everyone’s daylight savings transition has been smooth, and that you’re enjoying the extra bit of evening light! For me driving home to enjoy a few hours of sunlight after work as opposed to getting back to SF in total darkness is a wonderful thing. This week I teamed up with Niki of Style, Studs and Lace to participate in a “one piece, three ways” challenge, and had a blast doing it. I decided to play around with something I’ve been wearing on repeat recently: vintage denim jeans. These days it seems like if I’m not wearing my Kamm pants, I’m in vintage Levi’s. I love wearing them for casual weekend events, or up styling them for special occasions. They are truly a wardrobe staple, and a workhorse in my closet. I love the way they rough up an otherwise polished look, and are of course, perfect for all manner of weekend shenanigans. 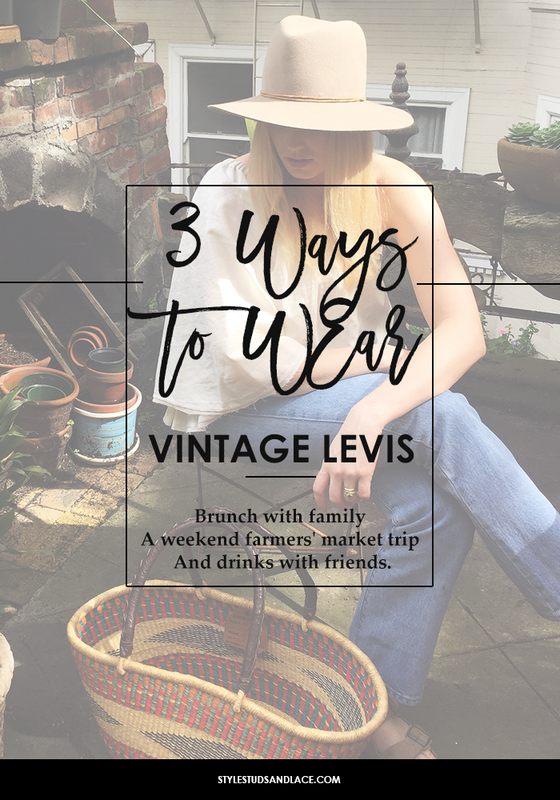 I styled my vintage Levi’s in three ways for three specific activities: brunch with family, a weekend farmers’ market trip, and drinks with friends. Scroll down to see how the looks came together. 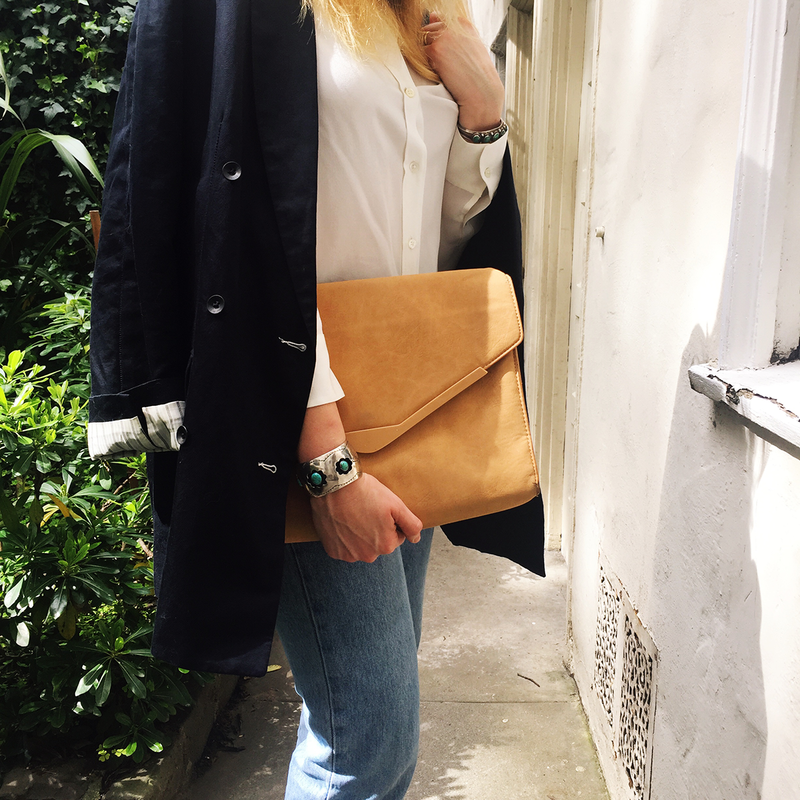 For this look I paired my vintage Levi’s with a silk blouse, block heel sandals, an oversized blazer and a clutch. I particularly love the straight leg on this pair of 501s, and the medium-light wash is easily dressed up or down. Vintage denim doesn’t have a ton of stretch to it, but that means they usually smooth and lift in all the right ways. Though flattering, I opted to wear the silk button-up untucked, and pair it with a long blazer for this family event. 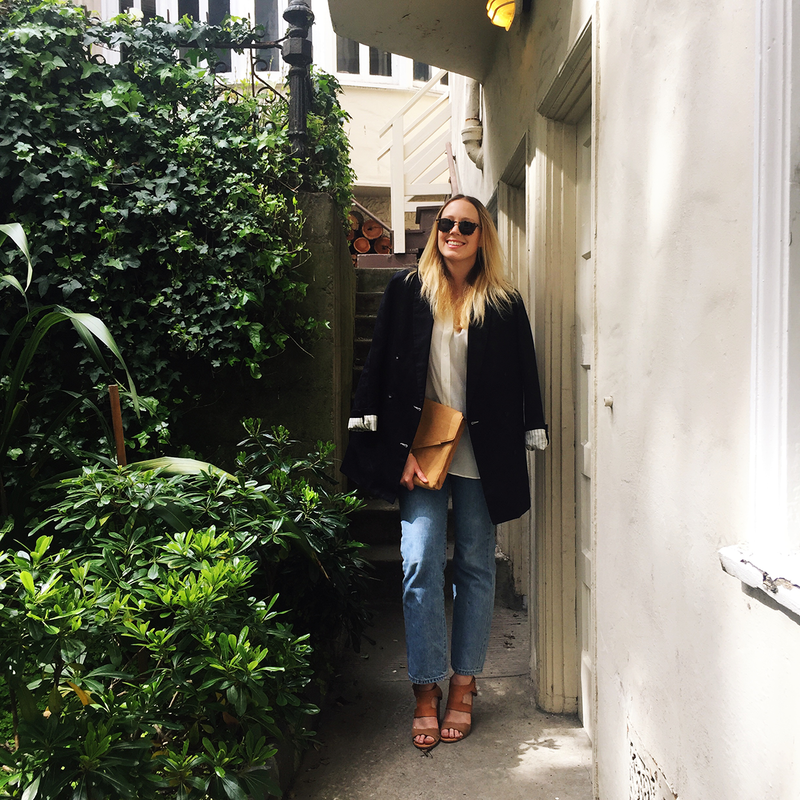 Pairing the jeans with some casual heels and the blazer feel both casual yet put-together – just the right recipe for an afternoon with my husband and the family. 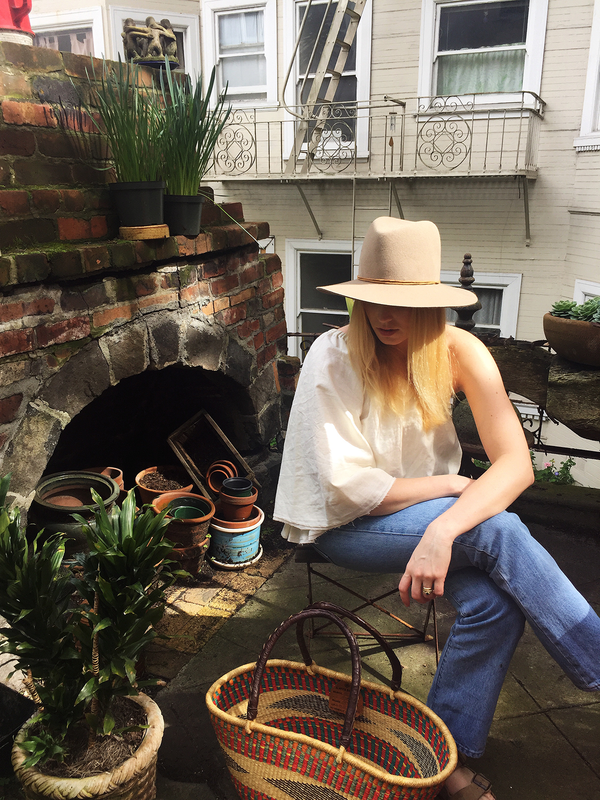 San Francisco has had some sunny days recently, and this statement one-shoulder top paired with the vintage Levi’s, birks and a felt hat is the perfect combo for a trip to the Ferry Plaza for the farmer’s market. 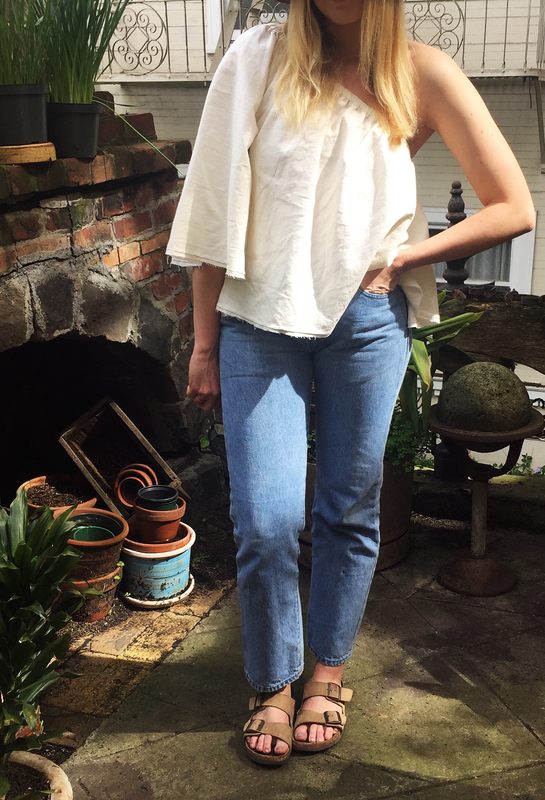 I love how the raw hem of the top grazes the jeans, and the 30 inch inseam is perfect for pairing with sandals, as well as heels. My trusty Ghanaian blessing basket is the only accessory I need for a day trip to our local outdoor market. As I said before, I really appreciate how versatile vintage jeans can be. 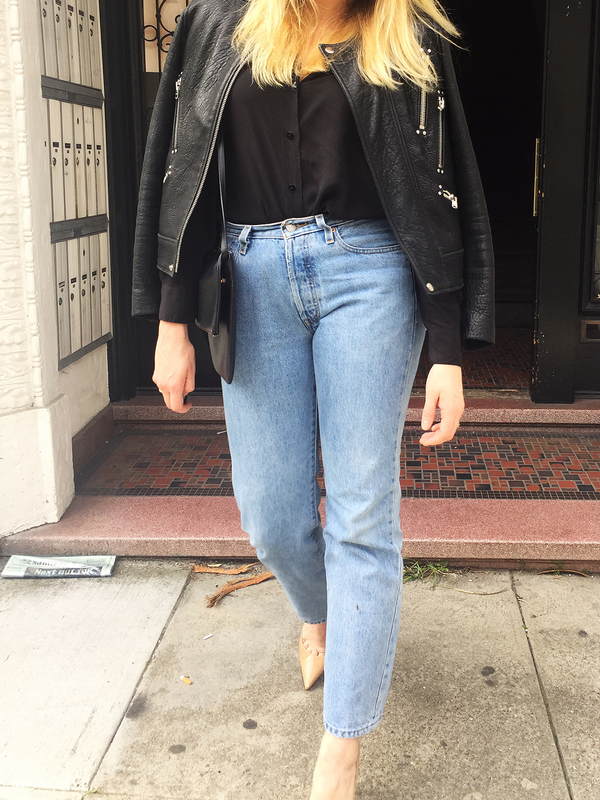 I love pairing mid-light wash jeans with a black silk blouse, leather jacket, and heels to go out on the town. 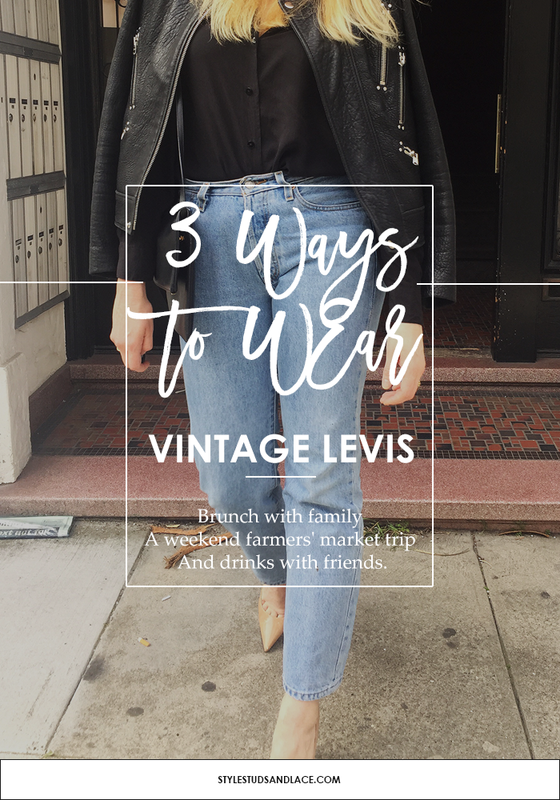 I find the derriere-friendly structure of vintage denim to be pretty flattering, without making me feel like I’m trying too hard – perfect for grabbing drinks with friends or trying out a new restaurant. Do you guys stretch your light-wash jeans into evening activities? 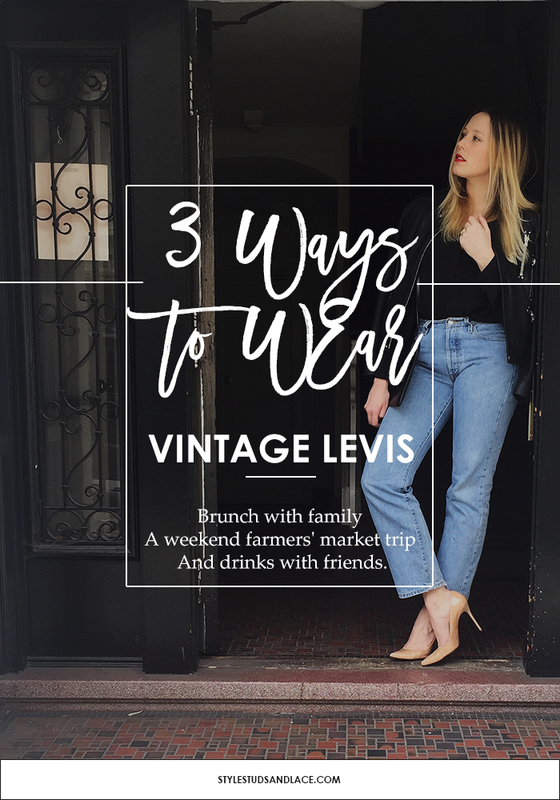 Do you have any favorite strategies for scoring vintage denim? Let me know! Follow Harben on Instagram and Twitter for more inspiration!